Dental Insurance Benefits: Use Them, Don't Lose Them! 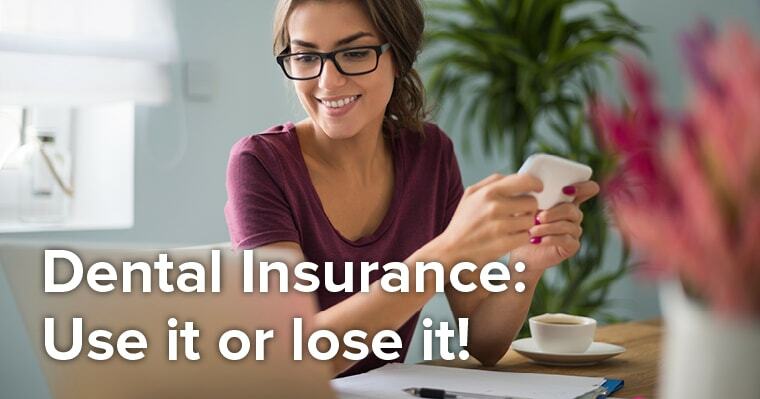 Benefit From Your Dental Insurance Benefits: Use Them, Don’t Lose Them! Did you know most dental insurance benefits don’t roll over from year to year? If you don’t use them, you could lose them! 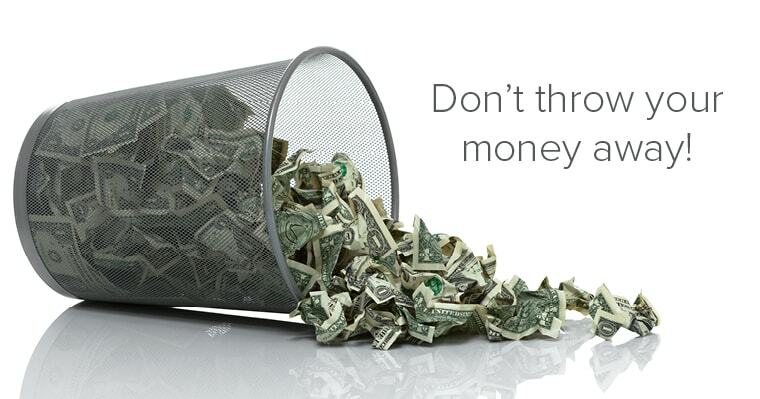 Don’t throw your money away by missing out on valuable dental care before the end of 2016. 1. An ounce of prevention: Keep your dental health on track! Preventative appointments, including exams and cleanings, are typically fully covered by insurance. Have you visited your dentist twice this year for your cleanings yet? If not, call now to get on the schedule before the end of the year. It’s important to book your and your family members’ cleanings now before schedules fill up. Remember: You’ve PAID for these benefits. Don’t throw them away! 2. Check your deductible: The money you’ve already spent toward your deductible will reset to zero on January 1st. Call your insurance provider to determine what you’ve spent so far this year toward your deductible and also to find out if any treatments you’re considering are covered. If you’ve met or are close to meeting your deductible for this year, you may be able to save money by completing a treatment in 2016 instead of 2017. 3. Flex spending funds: Do you have a healthcare flexible spending account? If so, you’ll lose any unused funds in it at the end of the year (or grace period, depending on the plan). Remember, flex spending funds can be used for your dental care. 4. Don’t pay for procrastination. Delaying or avoiding simple treatments now could potentially be more expensive later. Prevent costly and serious treatments by making use of your dental insurance NOW before 2016 ends. Call your insurance provider and familiarize yourself with 1) the benefits you’ve already used, 2) what’s covered, and 3) if any benefits will be reduced next year. If you haven’t had your two dental exams and cleanings yet this year, call your dentist as soon as possible and schedule appointments for you and your family members before the end of the year. If you’re considering any dental treatments that may be covered partially or in full by insurance, talk to your dentist’s treatment coordinator about the best way to complete the treatment AND maximize your benefits for the year. Remember, you’ve already paid for your dental insurance benefits; use them, don’t lose them!